The use of average speed cameras has been found, on average, to cut the number of crashes resulting in death or serious injury by more than a third. 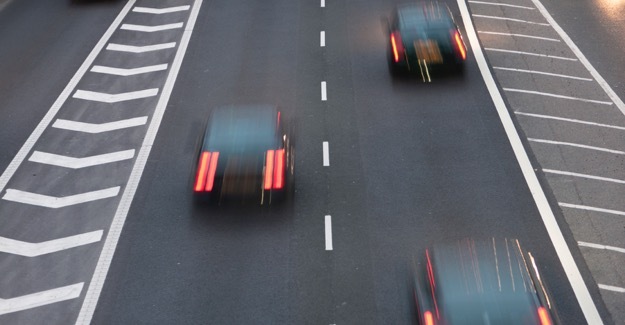 Research for the RAC Foundation by Road Safety Analysis found that on average – having allowed for natural variation and overall trends – the number of fatal and serious collisions decreases by 36% after average speed cameras are introduced. By the end of 2015 there were at least 50 stretches of road in Great Britain permanently covered by average speed cameras keeping a total length of 255 miles (410 km) under observation. The 50 stretches range in length from under half a mile in Nottingham to 99 miles (159 km) on the A9 between Dunblane and Inverness in Scotland. Many of these stretches of road will be monitored by several sets of cameras. The first stretch of road to become permanently managed by average speed cameras was on the A6514 Ring Road in Nottingham back in 2000. At least 12 systems were installed last year alone. A full list of those stretches of road in Great Britain with average speed cameras covered by this study follows at the end of this press release. One reason for the increase in usage has been the reduction in the installation costs of permanent average speed cameras. The cost of permanent average speed cameras is now typically around £100,000 per mile, compared with around £1.5m per mile in the early 2000s. Some of the older spot speed cameras – commonly known as Gatso cameras – have been around for 25 years and still use 35mm film. As they come to the end of their operating lives they are starting to be replaced, in some cases with average speed camera systems. In August this year, for example, West Midlands Police turned on average speed camera systems on eight stretches of roads in Birmingham and Solihull. This was three years after the old-style, wet-film, Gatso cameras were turned off. “All the indications are that compliance with average speed cameras is high; now this research reveals the sizeable impact they can have in reducing death and serious injuries. “Measuring the influence of speed cameras in isolation from other road safety improvements over time has previously never been undertaken on this scale. “The statistical results clearly show good collision reductions on the stretches of road where average speed cameras are used; often covering much longer distances than other enforcement systems. Average speed cameras are also often used on a temporary basis to manage traffic through roadworks but these have not been included in this study. Nor was the single stretch of road managed by average speed cameras in Northern Ireland. The table below gives the full list of average speed camera sites in Great Britain as obtained for the RAC Foundation by Road Safety Analysis as of the middle of 2015. The quoted site lengths reflect the extent of the enforcement infrastructure, not the total length of the road itself. There were cameras installed on the A46 at Cotgrave in January 2006 but these were later removed. There might be other sites where average speed cameras are permanently installed but have not been revealed to the researchers. Although not part of this study there is a 6.25-mile stretch of the A2 between Bangor and Holywood in Northern Ireland that is monitored by average speed cameras.